Regardless of whether you’re using the Nikon D3100 to capture video or shoot pictures, you can choose to change the way the settings and information are presented on the display in Live View mode. Press the Info button to see your options. 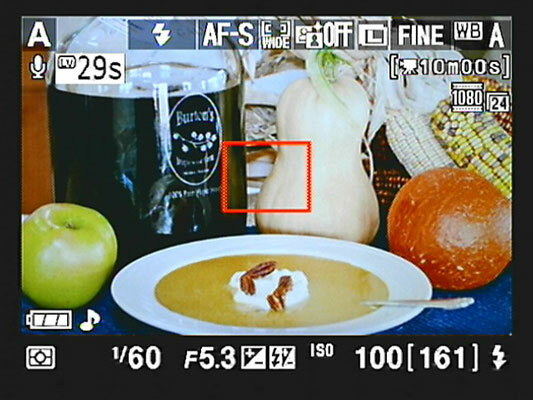 Show Indicators: By default, the display uses this mode, which reveals the shooting data, or the current settings you’ve chosen or accepted by default for your camera to use when capture photos. Hide Indicators: By default, information regarding the shooting settings will line the top and bottom of your display and possible float in other areas on your screen. To declutter the screen a little, press the Info button to cycle from the default display to this mode, which presents less information and leaves the screen clearer. Framing Grid: Press Info one more time to display a grid over the image. The grid allows you to precisely align objects in your shot. To return to the default display, push the Info button again. If you connect your camera to HDMI (High-Definition Multimedia Interface) equipment, you won’t see the live scene on your camera monitor. Instead, the view and information appear on your video display. In that scenario, the arrangement of the shooting information on the screen may look a little different. Also note that if you connect the D3100 to a piece of HDMI-CEC equipment, you can’t shoot video or photos in Live View mode.